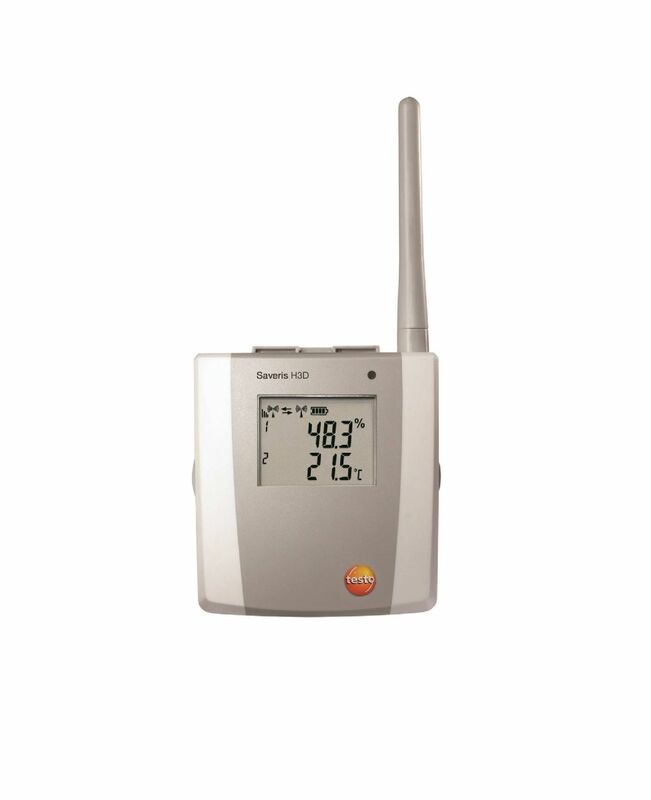 The testo Saveris H3 D radio probe is equipped with an internal humidity and temperature probe and is therefore ideal for monitoring warehouse goods that are sensitive to temperature and humidity. It also monitors the air conditioning in buildings, continuously and reliably. measuring technology. The integrated sensors guarantee readings with long-term stability. This enables quality assurance guidelines to be complied with and documented securely. The testo Saveris H3 D radio probe has a data memory for 6,000 readings per channel. It is also equipped with a display, showing the current measurement data, battery status, limit value violations and quality of the radio link. testo Saveris H3 D humidity/temperature radio probe with display, radio frequency 868 MHz, including wall bracket, calibration protocol and 4 × AA alkaline manganese batteries. * Not for condensing atmosphere. For continuous applications in high humidity (>80 %RH at ≤30 °C for >12 h, >60 %RH at >30 °C for >12h), please contact us via www.testo.com.